Our story in a nutshell: we had wanted to manage a hotel for a very long time. But where and when was a harder question. And then, on a stroke of luck, fate put a little add on our way, mentioning that the owners of the Vauban wanted to had over. It was love at first sight when we visited the hotel, for the place, the sea, the peninsula. And we hope you’ll feel the same about it! 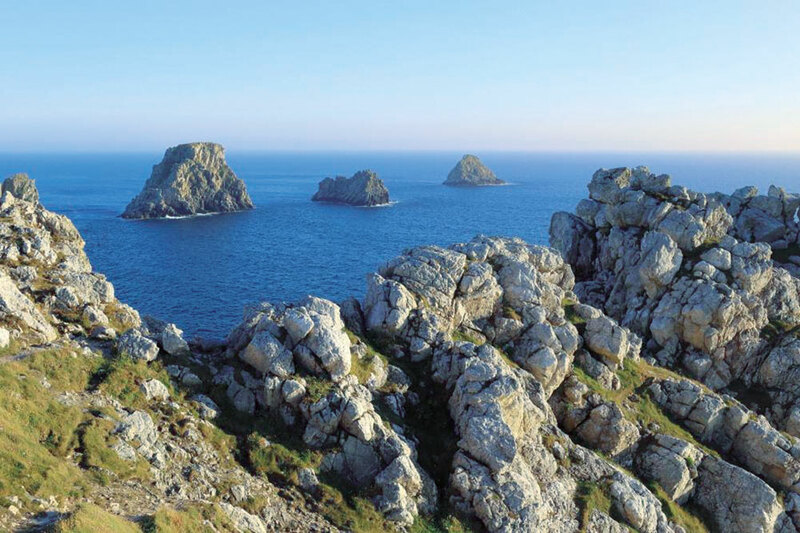 Camaret is located right at the end of Crozon’s peninsula – after that, only the ocean’s left! The harbor next to the hotel is of course a protected area, but within shoe’s reach, the Coast is wild and is well worth a visit. Pen Hir and the “Tas de Pois” (the peas’ heaps)... Two steps away (OK just a few more...) from the hotel, the cape of Pen’Hir is an unmissable walk. So much so that you won’t be allowed back in the hotel before you’ve seen it ! Come on, only joking, but it’s such a wonderful place that it would be a shame to miss such a place. 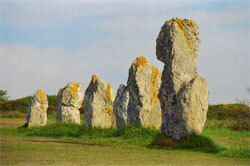 Lagatjar alignements Dating back to the same period as Carnac’s alignments, the Lagatjar alignments were forming up to 1776 a 600 menhirs set . Sadly, successive destructions had already reduced this number down to 100 by 1883 when it was added to the “Monuments historiques” list. 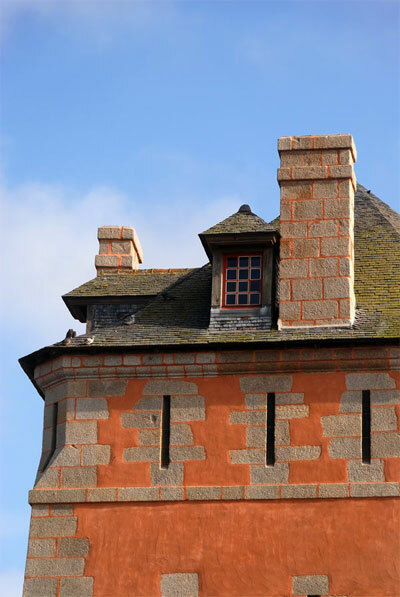 Among the highlights in the sea at low battery and tower built by Vauban throat, only the Golden Tower has retained its authenticity and integrity through quality restorations. Second important aspect, it is historically linked by Vauban Battle of June 18, 1694, also known as The Battle of Trez-Ruz. Camaret is the only site that has seen the presence of Vauban at the time of battle. Might be a good idea to visit http://www.sites-vauban.org/ ! 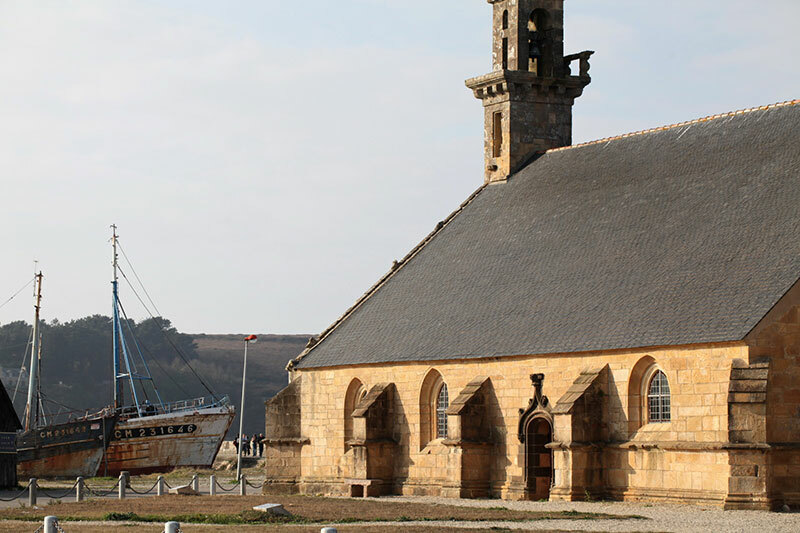 Together with the Vauban tower, the chapel is a symbolic building of the harbor of Camaret. There are two hypothesis about the origin of the Chapel’s name: it would either have been given by pilgrims on their way to Rocamadour (although where on earth would these pilgrims have been coming from??? ); or it would be a celtic name meaning the rock in the middle of water (Roc’h = rock et Dour = water). The French Poet Saint Pol Roux had deserted Paris and its miserable life. After a spell in the Ardennes, he settled in Roscanvel and then in Camare where he got a manor built, sea facing, with a most improbable architecture… This manor was destroyed down during the second world war by Allies bombing. UNMISSABLE ! 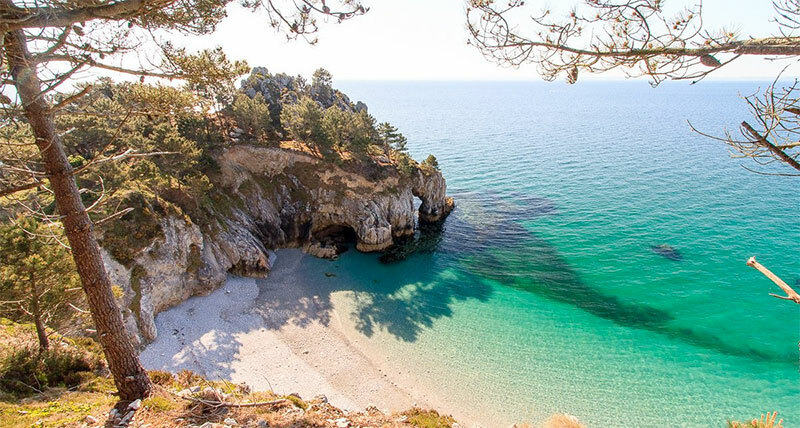 Several options to discover this cape: the east coast, protected from the wind, boosts a wide variety of landscapes, from coves to woodland scenes. It winds steeply upwards, the way down is at least as steep, it’s craggy to get to the coves, but god it feels so good to meet the sun at the corner of a track. And if you have a little bit of time ahead of you, you can even stop to enjoy it. Are you a sea sports fan? A surfer especially? You’re not in for a disappointment when you come here. Ok, no Jaws nor Belaharra here, but you’ll get your fair share of big thrills, whether you are just beginning or proficient. La Palue: main spot of the peninsula, come here on a high tide for stronger waves. Access: from Crozon, follow Cap de la Chèvre, then after Morgat turn right towards the La Palue village. Lostmarc’h: Lying just behind La Palue, it requires a 5 / 10 minutes walk to reach, but the low tide brings in some very good waves. Goulien: the ideal spot for beginners, more interesting at high tide. Access: From Crozon, direction Camaret then Goulien. Kerloc’h: The backup spot, ideal for longboard. From Crozon, direction Camaret, you can spot it from the road in Kerloc’. On top of all these, the peninsula hosts the friendliest festival there is! 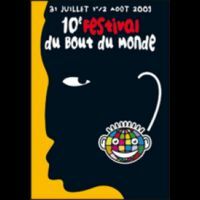 We can say we’re rather lucky in the area, between the "vieilles charrues" [a famous festival in Carhaix, Britanny ->http://www.vieillescharrues.asso.fr ] and the Festival du bout du monde, no less! Yet we have to admit that we are fervent supporters of the latter, a mixed influenced and open to musical influences from the rest of the world. That’s the kind of things we like!